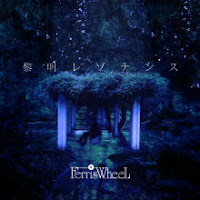 FerrisWheeL - 1st Single Release | VKH Press – J-Rock & Visual Kei Coverage Worldwide! Great news from visual band FerrisWheeL have been announced! They are going to release their 1st single entitled 黎明レゾナンス (reimei resonance) at their live on August 23rd at Shinsaibashi paradigm. It costs 1000 yen and includes two tracks.